Singapore is a multiracial society and because of that, we get to celebrate many different festivals here. Deepavali or Diwali is a Hindu festival which represents the symbolic victory of light over darkness. 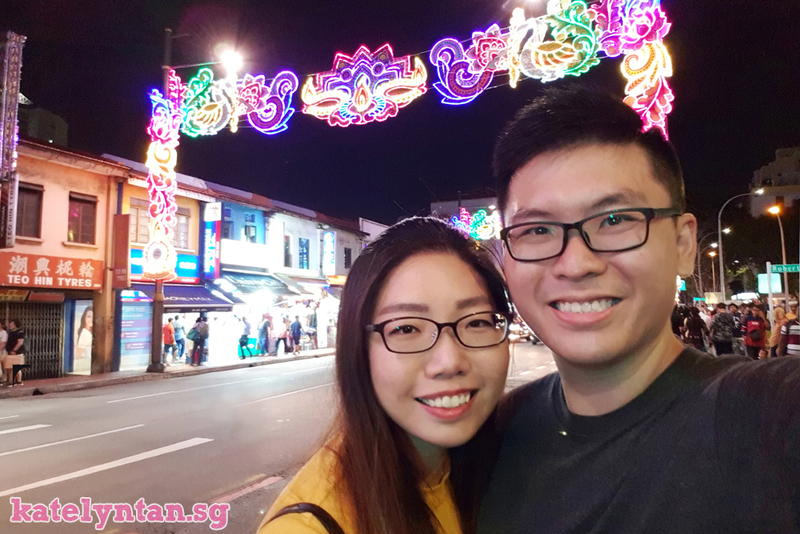 We had seen the lights at Little India before but this is our very first time joining them at their light-up ceremony! The 30th annual Deepavali Light-Up Ceremony at Little India, organized by the Little India Shopkeepers and Heritage Association (LiSHA), was held on 22 September 2018 to kick start the celebrations. The event was graced by President Halimah. This year, Deepavali falls on 6 November and a total of 2 million LED bulbs were used to create 62 sub-arches and 2 main arches, one at Serangoon Road and one at Perumal Temple, themed 'ANNAPATCHI', the Indian celestial swan. The lights will be up till 25 November and they've got a series of events for everyone to take part in. Here are some activities to look out for! Check out the Indian ethnic wear, intricate costume jewelleries, wood carvings, ornamental decorations, greeting cards, traditional sweet delicacies, festive cookies, henna art and music along the Stretch of Campbell Lane and Hastings Road. All these items actually brings back a lot of memories for me cause my kindergarten graduation performance was an Indian cultural dance! A Harley Davidson Motorbike group will be riding through Little India giving the pillions an Deepavali Festive experience. The convoy will pass through Race Course Road into Serangoon Road, the traditional zone of the street light-up. Join them and engage in a fun and interactiveculinary experience while learning to make sweets for Deepavali in teams of four. Create fond memories that will last a lifetime with your team! For the first time in the buzzling heartland, a campfire! Get up close and cosy with Naran, the spirit of the season. Sit around and catch this live story telling session in English. Draw on the little lamps in reminiscent of Deepavali and watch your glowing chain of creations conquer the darkness. A platform for your latent creativity to be displayed and artistically illuminate the darkness with the festive glow. Wind down with your buddies and welcome the weekend with an outdoor movie screening! In support of local talents, LISHA is working together with local directors to feature locally made films this year. 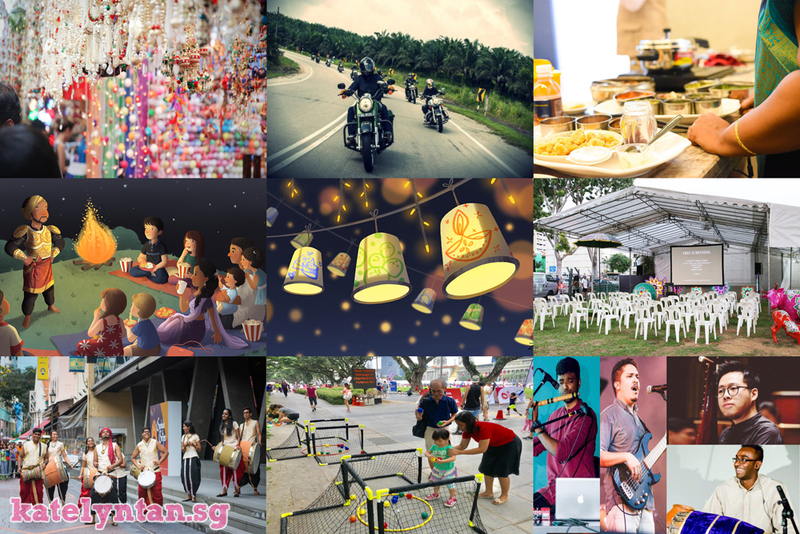 As it nears Deepavali, visit Little India and catch pop up performances happening at 4 different locations in at the same time! Little India transforms into a playground offering outdoor Indian traditional games for locals and tourists. All ages, races and nationalities are welcome to learn and participate in the traditional games unique to each race in a distinctive environment. Inspired by joy and the spirit of community, "The Silk Roots" is a talent pool of composers from Singapore. Join them as they end the night with spectacular displays of the art of fire dancing. 1. Like LiSHA Facebook page and LiSHA Instagram page (@officiallishasg). 2. Create a Boomerang that best depicts the Deepavali Festival. 3. Tag LiSHA and hashtag #deepavaliLISHA. 4. Share the Boomerang on Instagram and Facebook. The Boomerang must be taken at the Little India and all races are welcome to participate. Contest Ends on 5th Nov 2018.